If you’re shopping for fashion shoes that rock this spring, look no further. Mules make the ideal choice for every woman, and the style is trending for spring and summer 2017 in colorful, creative, and interesting shades. With endless options, you can never go wrong with this go-to shoe that will make luxury shopping your favorite activity this season. 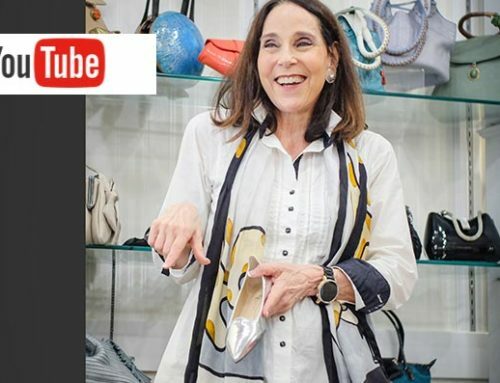 Learn how to rock the mule this season with advice from owner Marilyn Hellman. While some styles are typically relegated to specific looks or occasions, the mule is ideal for every woman. No matter what your age or style preference, there’s a style that’s perfect for you. Whether you’re going for a grocery run or are enjoying a night out on the town, these fashion shoes offer options for every occasion. Mules have open backs, so they’re an excellent choice for the woman who values her freedom. Rather than strappier styles that are hard to pull on and off, the style offers the freedom to kick off your shoes—at the beach, under the dinner table, or while riding in the car. No matter where you are, enjoy the freedom you desire where and when you need it. Not only can you choose from innovative colors and styles, but you can also select from expressive, unique pieces. Find over-the-top embellishments for that decadent dinner, or look around for crystals, pearls, metal studs, leather flowers, and fringe. There’s truly something for everyone. If you’re ready to begin your luxury shopping experience, you can find all of these options available at Marilyn’s. They look great with both long, flowy pants and ankle length summer dresses.